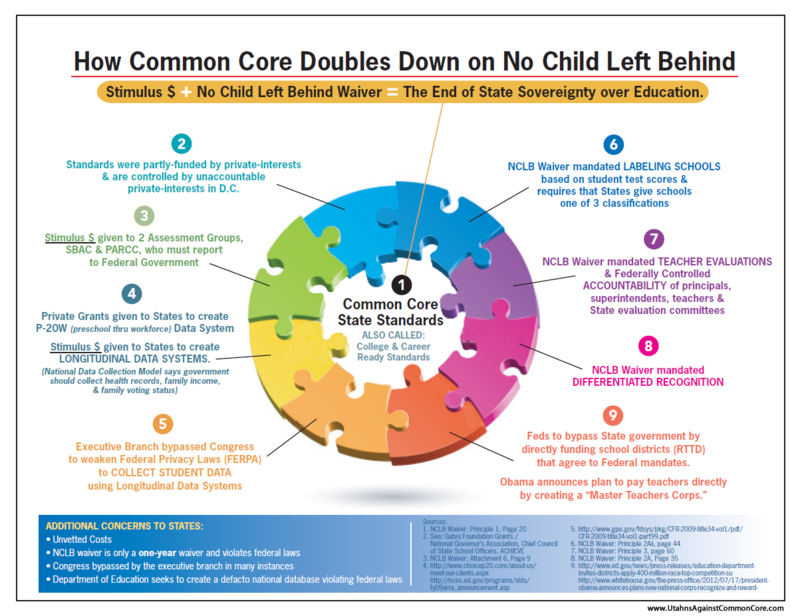 Missouri Education Watchdog: Common Core Graphic Seen in School. Unattainable Goals and Free Stuff. 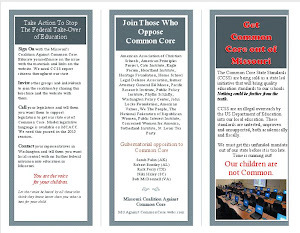 Common Core Graphic Seen in School. Unattainable Goals and Free Stuff. !00% of anything is a high goal of attainment and didn't work so well on making 100% of students NCLB proficient. Why is this goal any more attainable? Does this teacher know something the taxpayer doesn't know yet? Are we offering not only free preschool for all but free college as well? It might be a good idea to let students know that even if they are college ready and attend college, they may very well be setting them up for massive debt (if it's not free yet) for jobs that don't exist. The 100% figure is a lofty goal. I hope for this teacher her students reach near that 100% mark. If her students are not proficient on the copyrighted assessments she must use, her evaluation will show her alleged ineffectiveness and she will be in danger of losing her job. It's her accountability to the assessments that determine if she will continue teaching to those assessments or have to find other lines of employment. I have no idea where the teacher got the idea that students might have the option for attending college for free. But then again, why not toss it in there? It might be a reality since if "everyone doesn't get to attend college", it's not fair and equitable and the US Department of Education just can't tolerate any inequity in outcomes. Let's throw in free everything for everybody! I wonder if this teacher will teach economic theory to her students. Will she also teach the history of education and how it has evolved into a centralized system controlled by private corporations? Prussian Reform Movement - a transformation which replaced cabinet rule (by appointees of the national leader) with rule by permanent civil servants and permanent government bureaus. Ask yourself which form of governance responds better to public opinion and you will realize what a radical chapter in European affairs was opened. The familiar three-tier system of education emerged in the Napoleonic era, one private tier, two government ones. At the top, one-half of 1 percent of the students attended Akadamiensschulen,1 where, as future policy makers, they learned to think strategically, contextually, in wholes; they learned complex processes, and useful knowledge, studied history, wrote copiously, argued often, read deeply, and mastered tasks of command. The next level, Realsschulen, was intended mostly as a manufactory for the professional proletariat of engineers, architects, doctors, lawyers, career civil servants, and such other assistants as policy thinkers at times would require. From 5 to 7.5 percent of all students attended these "real schools," learning in a superficial fashion how to think in context, but mostly learning how to manage materials, men, and situations—to be problem solvers. This group would also staff the various policing functions of the state, bringing order to the domain. Finally, at the bottom of the pile, a group between 92 and 94 percent of the population attended "people’s schools" (Volksschulen) where they learned obedience, cooperation and correct attitudes, along with rudiments of literacy and official state myths of history. This universal system of compulsion schooling was up and running by 1819, and soon became the eighth wonder of the world, promising for a brief time—in spite of its exclusionary layered structure—liberal education for all. But this early dream was soon abandoned. This particular utopia had a different target than human equality; it aimed instead for frictionless efficiency. From its inception Volksschulen, the people’s place, heavily discounted reading; reading produced dissatisfaction, it was thought. 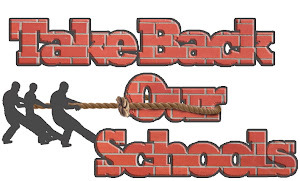 The Bell-school remedy was called for: a standard of virtual illiteracy formally taught under state church auspices. Reading offered too many windows onto better lives, too much familiarity with better ways of thinking. It was a gift unwise to share with those permanently consigned to low station. Heinrich Pestalozzi, an odd2 Swiss-German school reformer, was producing at this time a non-literary, experience-based pedagogy, strong in music and industrial arts, which was attracting much favorable attention in Prussia. Here seemed a way to keep the poor happy without arousing in them hopes of dramatically changing the social order. Pestalozzi claimed ability to mold the poor "to accept all the efforts peculiar to their class." He offered them love in place of ambition.By employing psychological means in the training of the young, class warfare might be avoided.